A cultural treasure for over six decades, the Niagara Symphony Orchestra (NSO) is a professional orchestra of over 50 musicians providing classical and contemporary orchestral music to more than 12,000 residents of the Niagara Region annually. 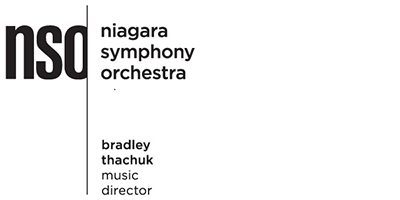 In the fall of 2010, the NSO welcomed Bradley Thachuk as the eighth Music Director, and in 2015, moved into the new concert venues Partridge Hall and Cairns Hall at the FirstOntario Performing Arts Centre in downtown St. Catharines. The NSO proudly showcases top national and international guest artists bringing the stars of the world to the stages of Niagara. The 2016/17 Season is marked by the appointment of the NSO’s first Principal Guest Conductor, violinist Aisslinn Nosky, who will be leading the NSO in multiple concerts for the next three seasons. The NSO is also a leader in music education, offering programs for all ages to inspire and nurture a life-long love of music. The NSO is dedicated to developing partnerships that support integrated cultural planning, and engage local musicians and arts administrators, ensuring a thriving community of creators in Niagara. 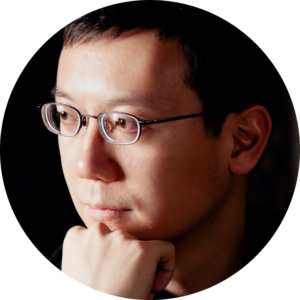 Described as a “self-assured voice” (Barczablog) with a “masterful control over his idiom” (Classical Music Sentinel), Kevin Lau has established himself as one of Canada’s leading young composers. His music has been commissioned by ensembles such as the Toronto Symphony Orchestra, Hamilton Philharmonic Orchestra, Hannaford Street Silver Band, and TorQ. His 2014 orchestral work, A Dream of Dawn, was premièred by the New Brunswick Youth Orchestra at the Musikverein in Vienna. He recently composed the score for the National Ballet of Canada’s original full-length ballet Le Petit Prince, featuring choreography by NBOC Principal Dancer and Choreographic Associate Guillaume Côté. He is currently collaborating with Guillaume on a second ballet commissioned by the National Arts Centre Orchestra (2017). In 2012, Kevin completed his doctorate in music composition from the University of Toronto under the supervision of Christos Hatzis. He served as Composer-in-Residence for the Mississauga Symphony Orchestra (2010–2012), the Banff Centre (2012), and was artistic director of the Sneak Peek Orchestra (with conductor Victor Cheng) until 2014. He served as the RBC Affiliate Composer for the Toronto Symphony Orchestra from 2012–2015. His discography includes the JUNO-nominated album Spin Cycle (2016) featuring the Afiara Quartet and DJ Skratch Bastid. 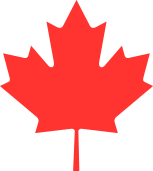 For Home is my musical tribute to Canada. Before writing this piece, I devoted considerable thought to the question of what it meant to be Canadian; I pondered its history, its culture, and in particular, my personal experience as a young immigrant adjusting to life in a new world. The simple, folk-like melody which recurs throughout the brief course of this work represents my best attempt at capturing feelings too complex for words. While composing this piece, it became clear to me that I could not convey my sense of gratitude for something so abstract without drawing on the particular. And so I drew upon my experience of meeting and falling in love with the woman who would eventually become my wife. The D-major middle section of this work quotes from a piece of music I composed specifically for her; for us, and for our home.